The VAT is an indirect tax that is collected by the government from consumers on the purchase of goods or services. The end-consumer ultimately bears the price. Businesses collect and account for the tax on behalf of the govt. VAT registered sellers or service providers are liable to pay VAT to the government which they have collected from the end consumer. Ministry of Finance of UAE has announced and imposed Value-added Tax (VAT) of 5% on sale purchase of products and services from 1st January 2018. 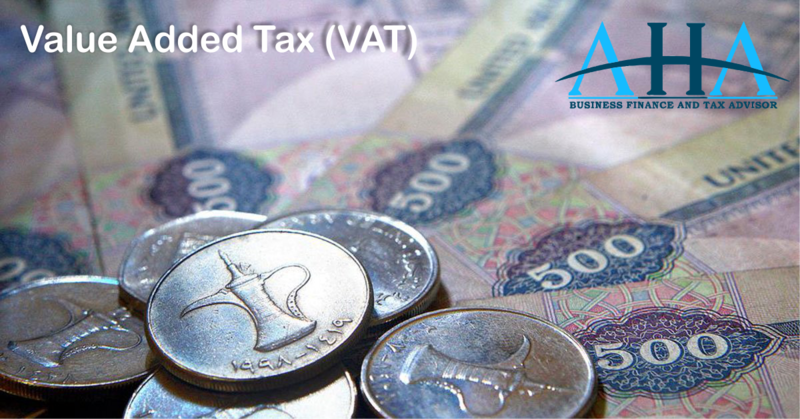 UAE Government is expected to generate revenue of AED 8 to AED 12 billion annually from VAT. The VAT is an indirect tax, that is collected by the government from the public on the bulk of transactions in product and services. An exemption may be granted on a limited number of items. Implementation of VAT will increase the living cost to some extent, however, this could vary accordingly the individual`s lifestyle and spending activities. If an individual spending on those things that are falls under zero-rated regime or exempt from the VAT, that individual may not experience any significant increase. The responsibilities of businesses are to maintain the record of their business income, the cost incurred and VAT charges on the sale of products and services. Registered businesses and traders will able to collect VAT from their customers at the principal rate and pay to government whereas businesses and traders will pay VAT on the purchase of products or services from suppliers and later on they will get a refund from the government.